Hello, readers, and thank you for your patience in my getting Part 2 of my Lakeland adventure out to you. Whereas the focus on Part 1, at Lake Mirror, was on ducks, this part we’re going to talk mostly about the swans on Lake Morton [map]. Lake Morton, as the overcast started to break up. 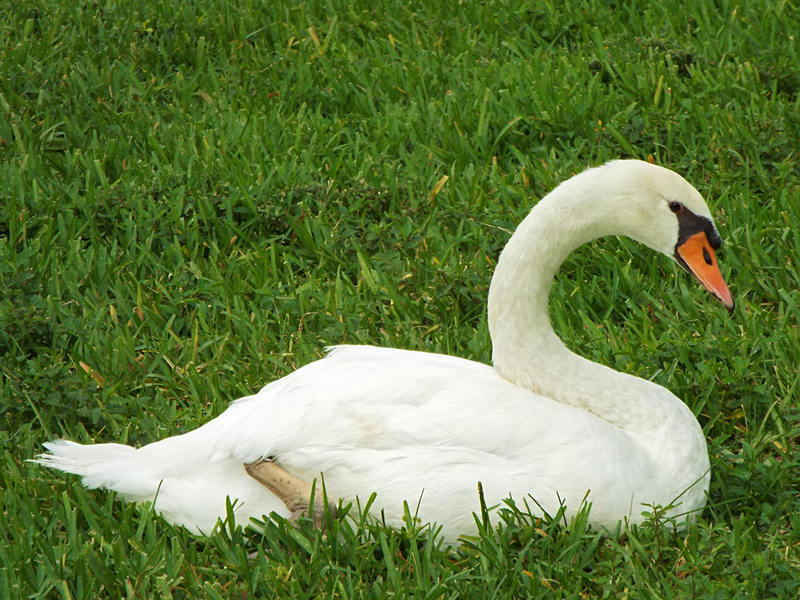 There have been swans in Lakeland since at least the 19th century. While local histories call these birds “native”, it’s important to state that North America’s only two indigenous swan species, the Trumpeter and Tundra Swans, do not have historic ranges in the southern United States. But swans (probably Mute Swans) had been around since at least the early 1920s. Their numbers dwindled until the last swans were gone (probably by alligators) in the 1950s. When a former Lakeland resident living in England heard about this, she asked Queen Elizabeth II (so the story goes) to help. 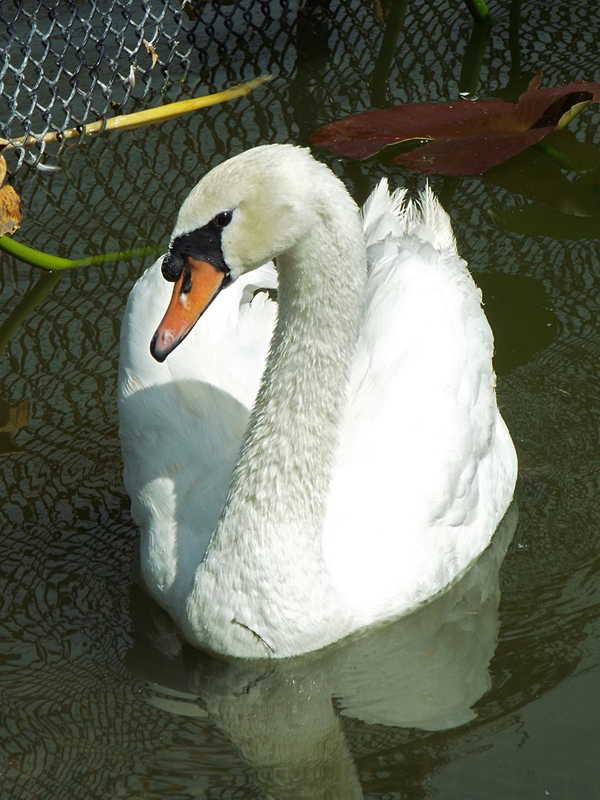 A pair of “royal swans” (Mute Swans descended from Richard the Lion-Hearted’s flock) were eventually sent, and the city’s swans were restored. 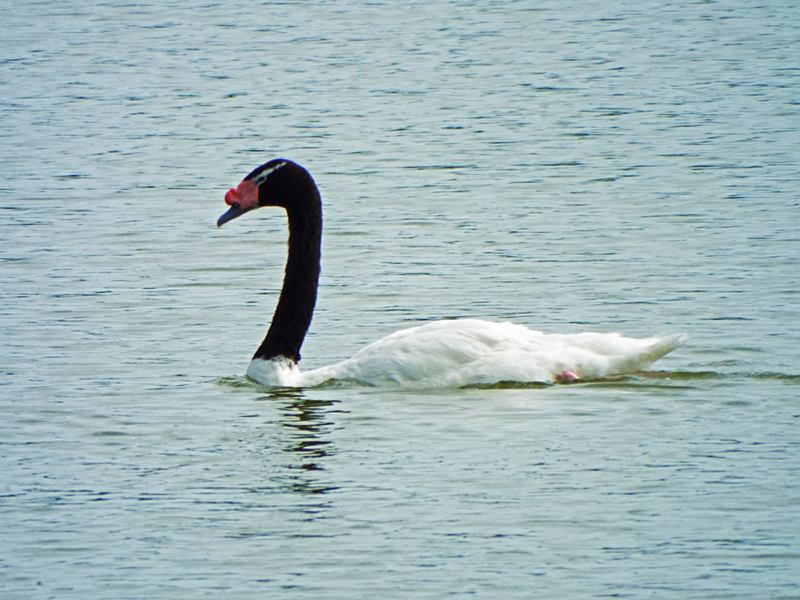 Through the years, other swan species have been introduced to Lake Merton, including at least one pair of Coscoroba Swans and Black-necked Swans. 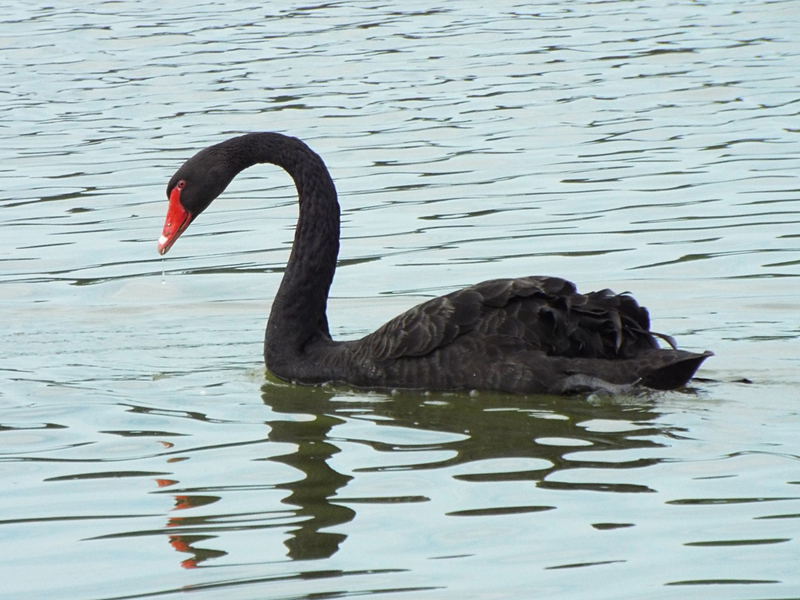 Both Mute and Black Swans remain the most numerous. There’s a concerted effort to keep the birds in and around Lake Morton and other city lakes, and the birds are “rounded up” each year for health checks and to have their wings clipped, in an effort to keep the swans in and around the city from spreading into the area. Swans are an invasive species in Florida, so keeping the birds contained is an important (but probably, ultimately, futile) task. But there’s no denying the birds are beautiful to look at. Here are some photos from Lake Morton and it’s iconic swans. Black Swan on the lake. 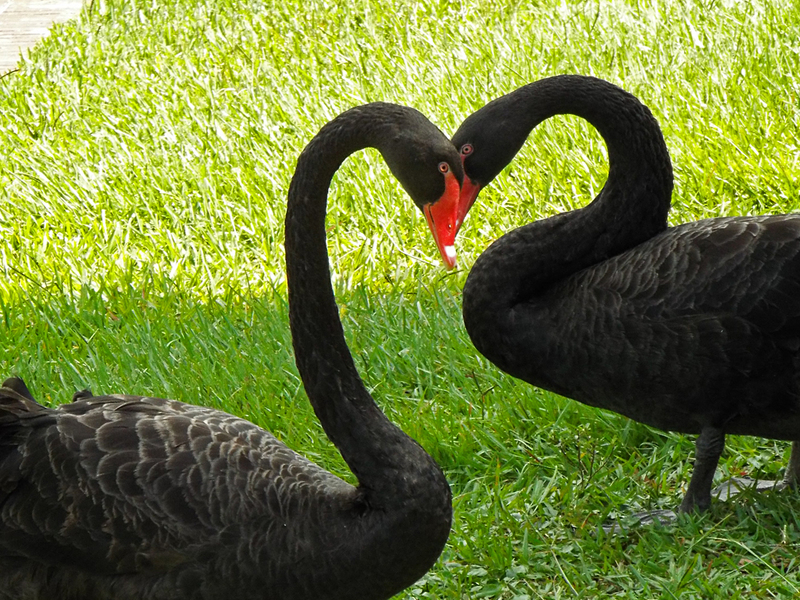 Mated pair of Black Swans. They were doing some kind of courtship/bonding dance. 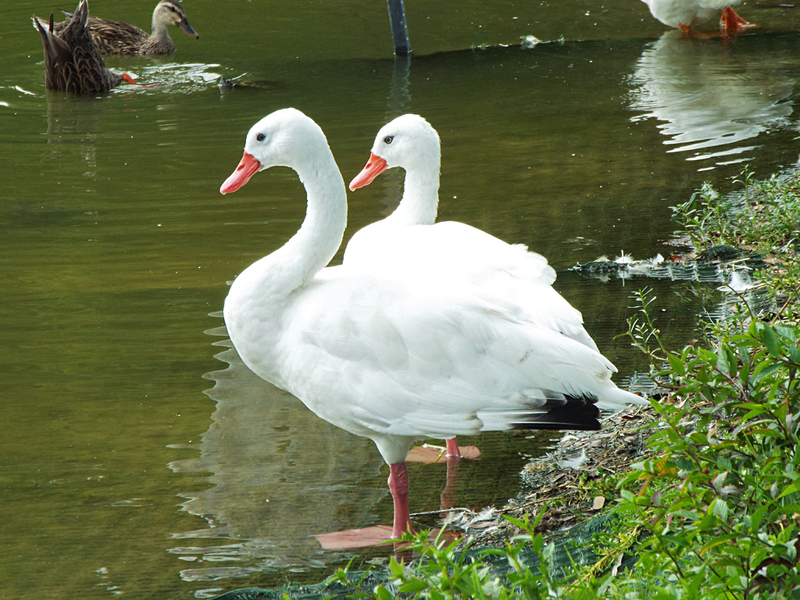 This is a pair of Coscoroba Swans. 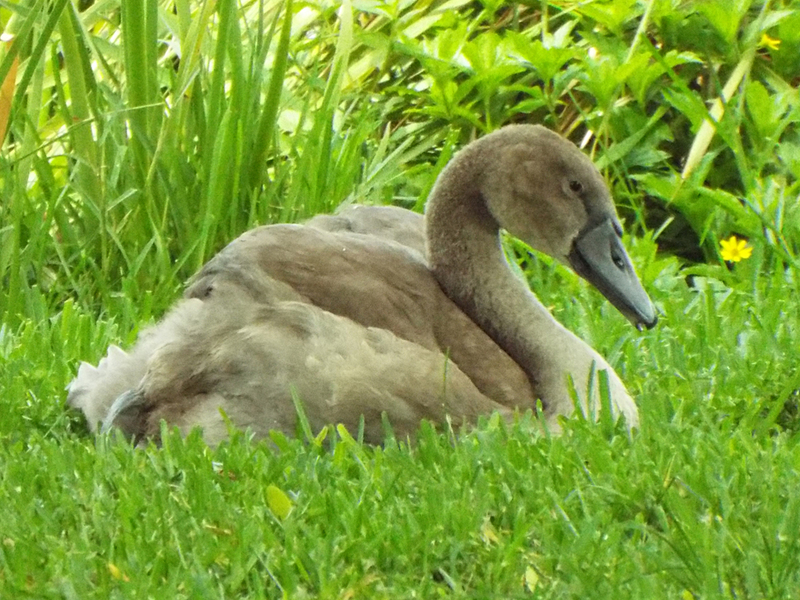 Most of the Mute Swans were sitting in the grass, sleeping or preening. One of two aptly named Black-necked Swans. Although quite beautiful, Mute Swans (as with most swans) can be very territorial and aggressive. This one was sizing me up as I took the photo. One of several Mute Swan cygnets. 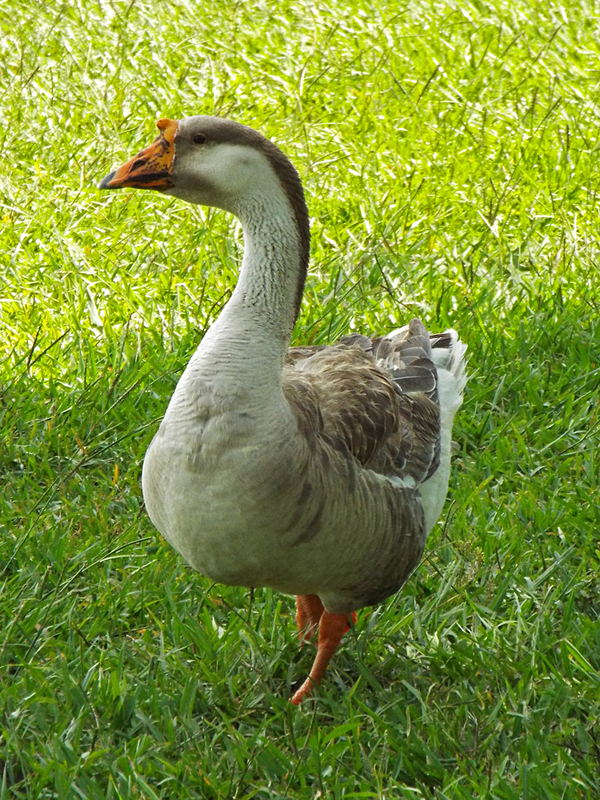 Another bird of interest on Lake Morton is the Swan Goose. 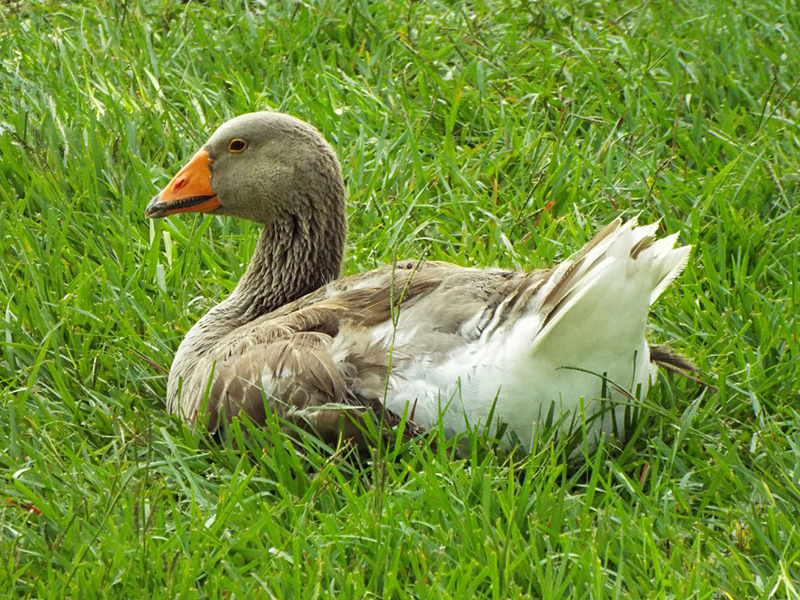 It looks very much like a Greylag Goose, but with a dark nape and a knob on the bill. 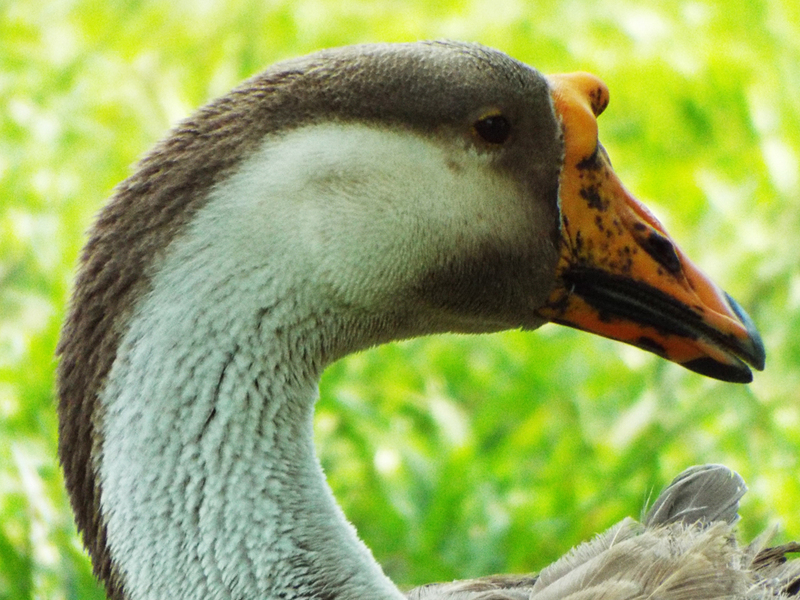 Close-up of a Swan Goose head. Of course there were also a good representation of native birds on the lake. 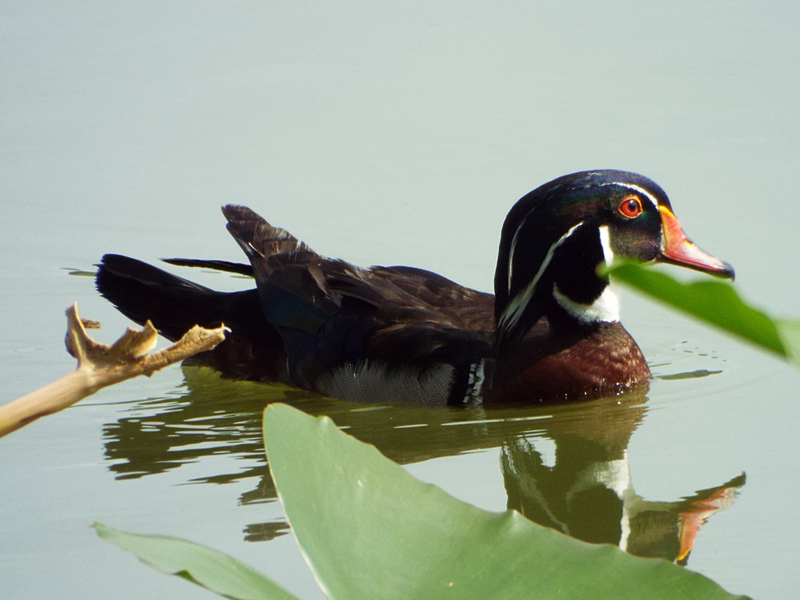 With the sun out, the colors of the Wood Ducks were easier to see. Wood Duck drake, better lit. One side of the lake had a small flock of Wood Storks, mostly resting. One bird was standing apart from the rest, with its wings outstretched, slowly walking and turning about. Storks don’t normally forage in the grass, and it was a warm morning, so I am not sure what this posture was indicating. 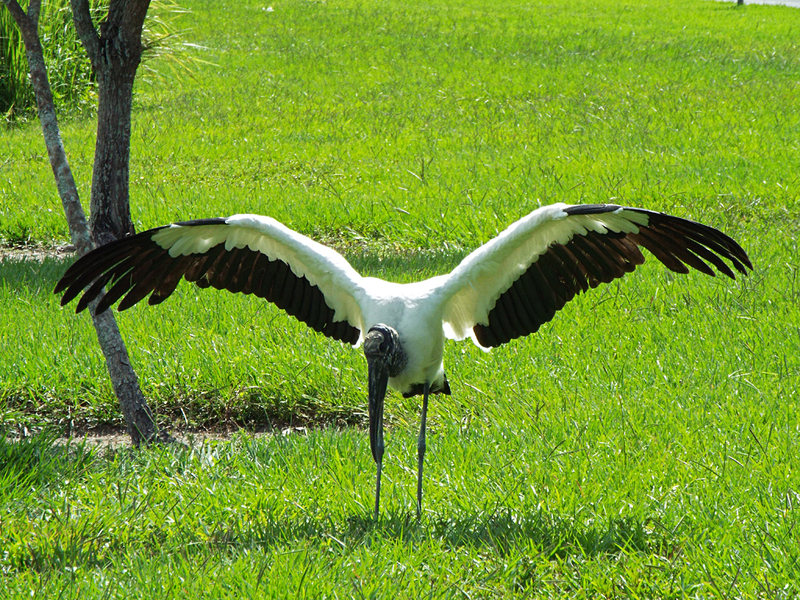 Wood Storks are large birds, with wingspans of up to 1.8 meters (6 feet). 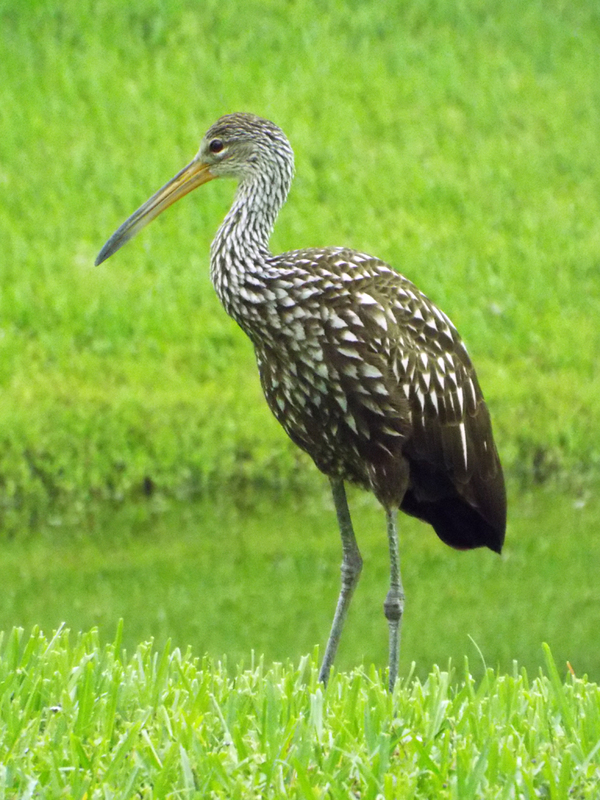 Various wading birds were present, including a few Limpkins (some with nearly fledged chicks). 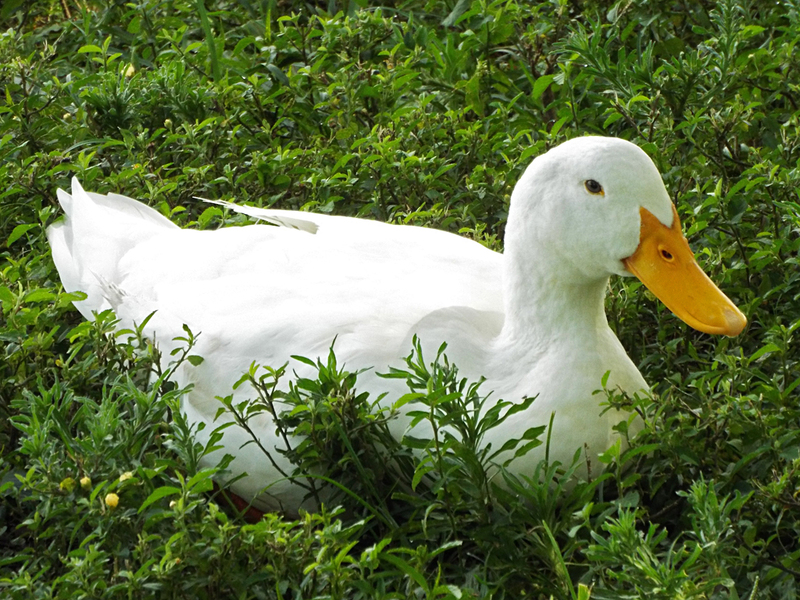 Lastly, I wanted to leave you with a couple of photos of domestic or Pekin Ducks. I’m quite partial to ducks, and since these guys are certainly never considered in official birding lists or eBird, I like to give them at least a little space in my blog when I can. 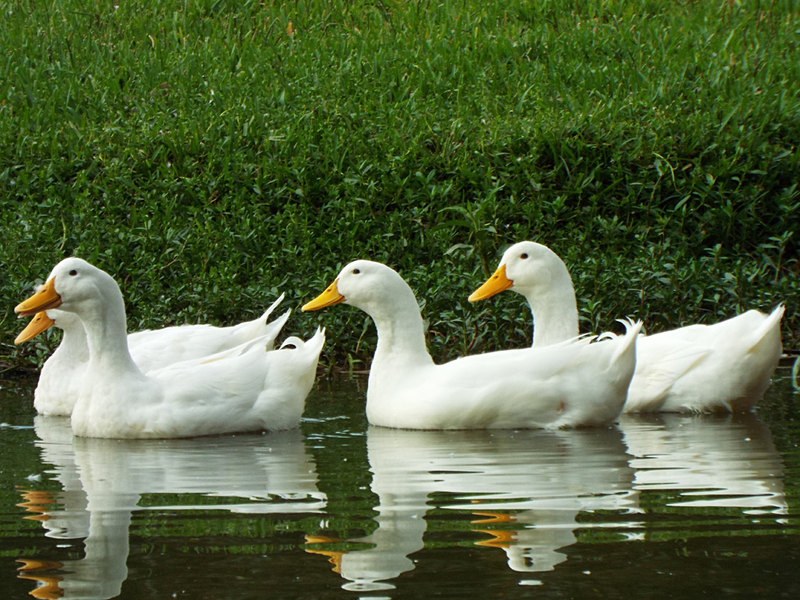 Pekin Ducks are the prototypical white duck. Think Donald Duck. With another adventure in the books, it was time to head toward home. 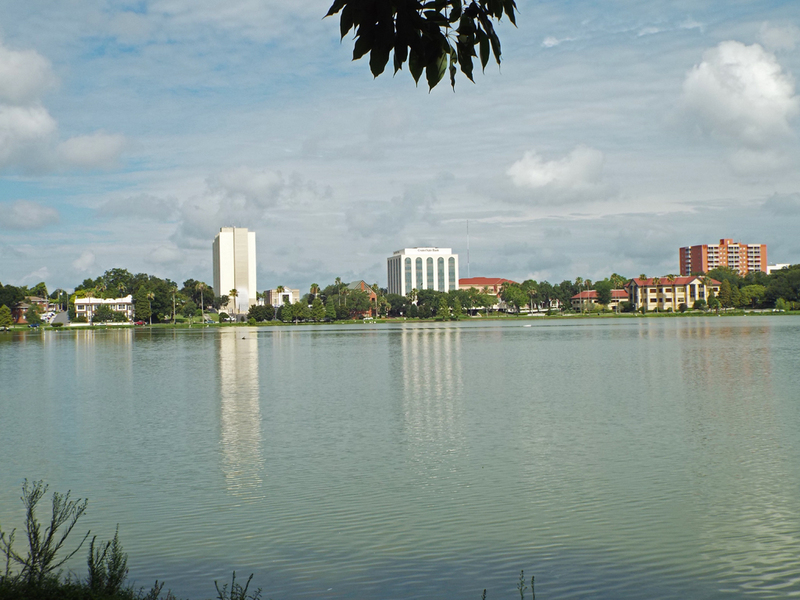 With its swans in good hands, Lakeland will continue to be a unique and beautiful Florida destination for years to come. Posted on 2016 July 20 2016 July 20 by Lonely BirderPosted in BirdingTagged Birding, birds, birdwatching, Lake Morton, Lakeland.